He had his arm almost completely shot off – it was hanging off by a thread – and when he came to in the jungle he was in a bit of a dilemma. He thought ‘should I cut it off and run or try to save it?’ He didn’t know where he was until some villagers came out and told him there was an air station nearby. He managed to patch his arm and get to the station and went on to be one of the first to have both skin and bone grafts. Although he lost some use of his right arm, he could still write with it. After the war, Terry gained a degree in mechanical engineering. He flew with my hang gliding club while I was working away and flying in another region, so I did not fly in his company. However, many long-standing pilots in the club did, and they mentioned that they had to be wary of Terry’s directional control. That bad arm had affected his ability to steer a hang glider. He was the BHGA’s hang gliding safety officer for some years. 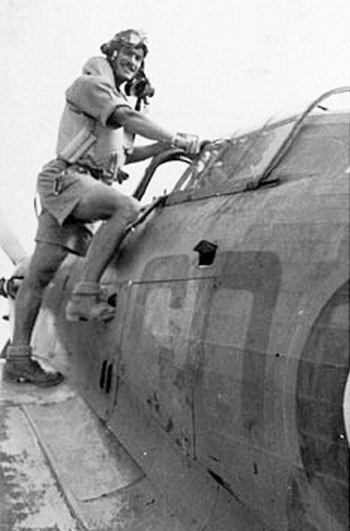 He subsequently took up paragliding, which he continued with into his early eighties. 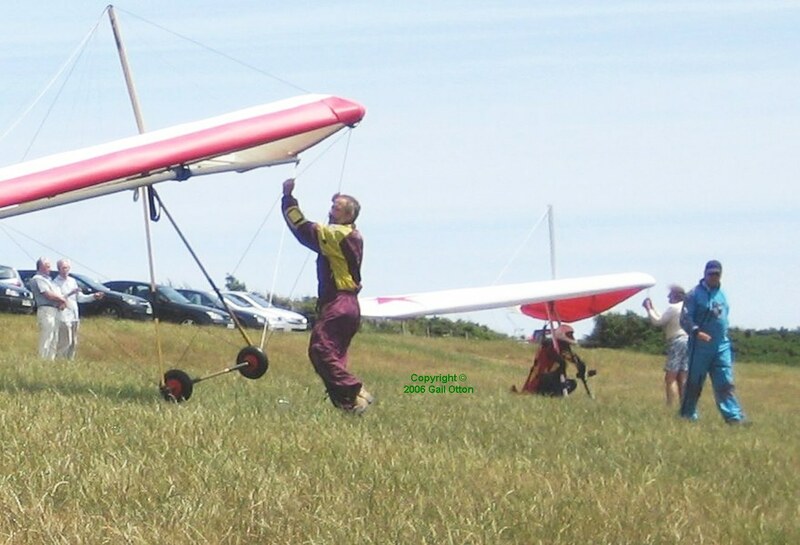 When I was organising the annual summer hang gliding competition—a combined event involving two adjacent clubs—in the early 2000s, on a couple of occasions I postponed the comp at the proverbial last minute: I phoned all the hang-rated club members late on Friday or early on Saturday. Terry was on that list. By then he no longer flew hang gliders, but he took a great interest. In this photo by Gail Otton, Terry is the guy ‘talking with his hands’ to a spectator near the parked cars. I am crouching under the red and white glider. Terry looks surprisingly young, although he must be in his eighties, with steel gray hair, a thrusting jaw, and a trademark vice-like handshake. He changed from hang gliding to paragliding a while ago and, although he no longer flies, he was pleased to see both types flying at Ringstead, including some of the new rigid hang gliders. 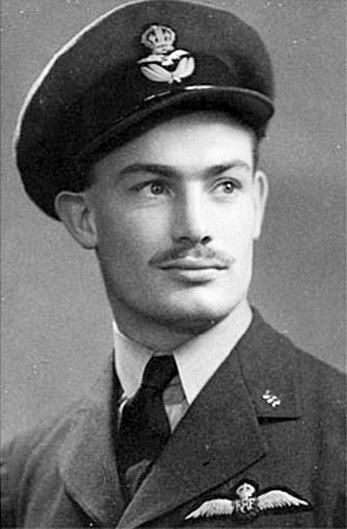 Later that year (2006) Flight Lieutenant Prendergast, 85, died following a short illness at his home in Dorset. He was cremated in a coffin made using cardboard from his own garage by his family in (roughly) the shape of his Hawker Hurricane fighter and painted in the camouflage and RAF markings of the period.